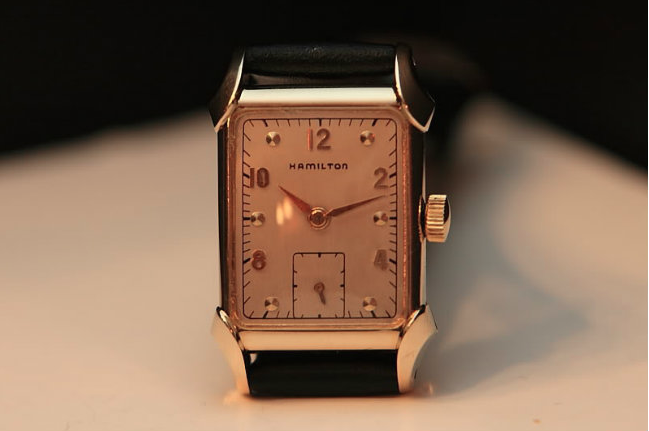 The 1948 Milton was produced for five years... a long run for a Hamilton model and indicates that it was a popular dress watch. 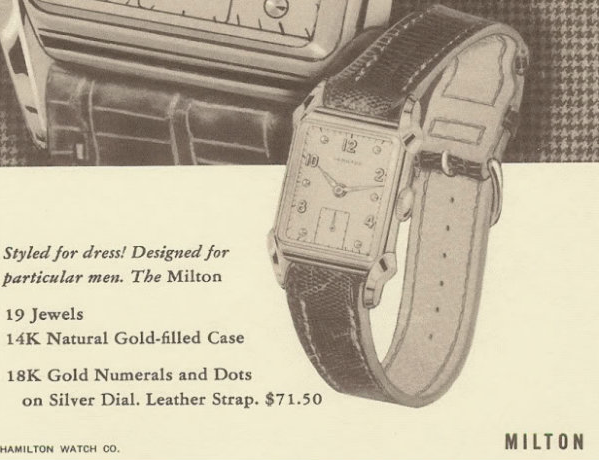 The Milton is sharp looking watch. It's 14K yellow gold filled case usually wears well but the edges of the lugs can take the most beating since they're the most prominent features on the front of the case. Under the dial you'll find the 14/0 sized 19 jewel 982 movement. 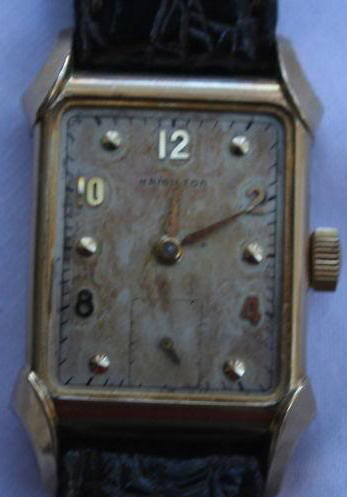 The dial is usually butler-finished but I have seen Milton dials in black as well - I don't know if they're original (my guess would be yes). One of my first project watches a few years ago was a Milton and I was so happy with the results that I think it's what fueled my passion for collecting them. Quite a transformation, no? 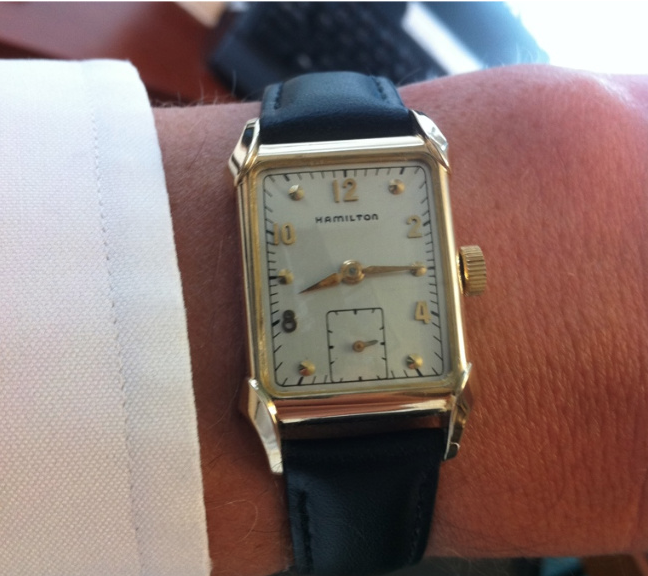 Looks great on the wrist too, although it could probably stand to have a lower profile crown (winder). I have a Milton that needs restoration. Do you still work on these?